Clifton, Virginia may be small but the diverse town offers plenty of excellent shopping destinations. 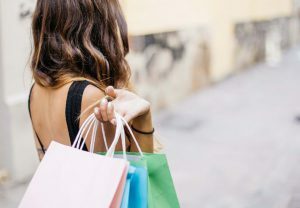 From major retail stores to a mixture of upscale boutiques and shops, you’re sure to find some great items to take home. If you’re in Clifton, engage in a little retail therapy at one of these top places to shop. The Colonnade at Union Mill, located on Union Mill Road, is a large shopping mall with a number of popular stores and restaurants. The 122,693 square foot neighborhood shopping center is anchored by Panera Bread, Giant Food, and Outback Steakhouse. You’ll also find other popular retailers such as Sephora, Ideal Image, Mattress Firm, Paul Mitchell, and Peebles. Colonnade at Union Mall is open daily from 5 AM to 12 AM. Hydrangea of Clifton is a local home goods store and gift boutique offering a variety of unique items. The charming little boutique is where you’ll find a number of upscale home décor accessories, ranging from decorative candle sticks to realistic flowers and greenery. You’ll also find seasonal décor that will help bring your home to life from one holiday to the next. If you want to pamper yourself at home, check out the shop’s wide selection of scented soaps, lotions, and bubble bath. You’ll also find personal accessories like eyeglass cases, tissue covers, jewelry pouches, and travel shoe bags. More than just a sprawling farm offering educational tours and activities for the public, Whitehall Farms also offers a retail store. The Market at Whitehall Farms offers a wide variety of goodies with product availability changing daily. In addition to Whitehall Farm’s beef and pork products, The Market offers three types of apples, four types of pickles, many types of peanuts, and olive oils. You can also find both frozen sweet and savory pies. The Market also carries products from other local farms and businesses, ranging from candy and granola to milk, cheese, and other dairy products. You’ll also discover Veteran Compost products, including compost, potting soil, and worm castings. Belle Jar Design on Main Street in Clifton is your source for furniture repair, home décor, and antiques. The unique shop in historic Clifton offers a hodgepodge of interesting items, ranging from reclaimed wood creations to beautiful handmade jewelry. They also offer a perfect assortment of fine gifts and accessories for the home. In addition to furniture refinishing services, the staff at Belle Jar Design also offers other great services, such as interior design and finding services for people in search of a rare or unique item. Are you in the mood to shop? The historic town of Clifton, Virginia offers ample shopping opportunities, whether you’re looking for larger known stores or want to search smaller boutiques. The downtown area is where you’ll find most of the retail shops and restaurants, as well as other main attractions like a lovely winery and great hiking along Bull Run. Located just 30 minutes from Washington, DC, Clifton makes for a wonderful day trip.